Bertie and Croc were packed neatly and snugly inside the camera bag. They had gone into a building which sounded very echoy. Croc wasn’t sure he liked the additional noise and snuggled deeper under Bertie started to really tug at Crocs paw. Croc sighed and went to see what all the fuss was about. He froze! Bertie didn’t have to point excitedly for Croc to see what he was pointing at. There in front of Croc and Bertie lay an alligator. It was laying so still and was so well camouflaged most people wouldn’t have noticed it. Now what Bertie didn’t realise was Croc is not an alligator. A crocodile is very different from an alligator. In fact, they come from different families. They may look the same but an if you look very closely you will see that alligators have a wider U shaped nose whereas a crocodile has a V shaped one. When Croc closes his mouth some of his teeth still glint in the sun, an alligators teeth are completely hidden when their mouths close. Crocodiles even live in different places to alligators. Crocodiles prefer to live in saltwater, which is why Croc lived in Darwin, it is near the sea. Alligators prefer freshwater so are more likely to be found in land in lakes and rivers. Croc wasn’t a mature crocodile as he isn’t very big so an alligator is quite a threat to him. Bertie looked confused. He thought his friend would be excited but there was a look of fear on his face and Croc slowly and carefully sank into the camera bag until he disappeared. 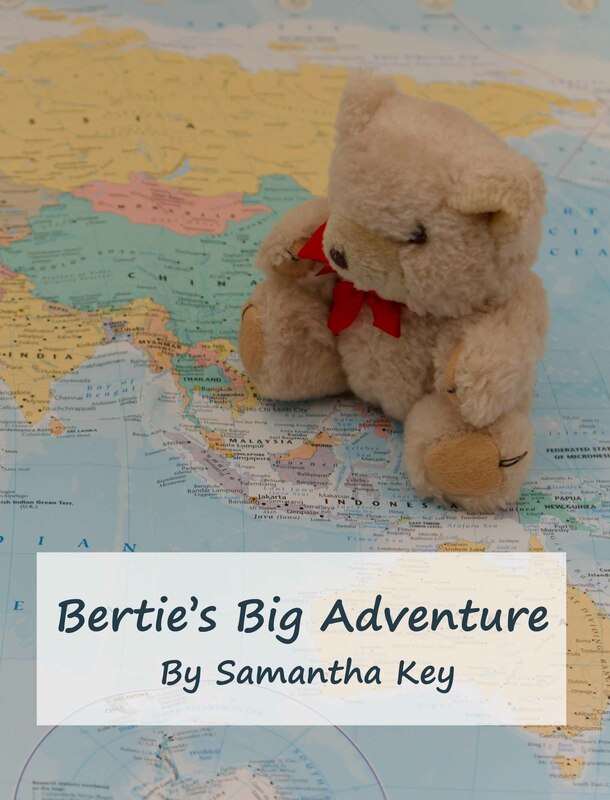 “How odd?” Thought Bertie, and taking one final look at the alligator, he went to see if his friend was ok…. Poor Croc….he feels intimidated and humbled. But something tells me he’ll recover thanks to Bertie and the camera bag. They are quite addictive! I really must force myself to put some time aside to write the next few books about how they meet!